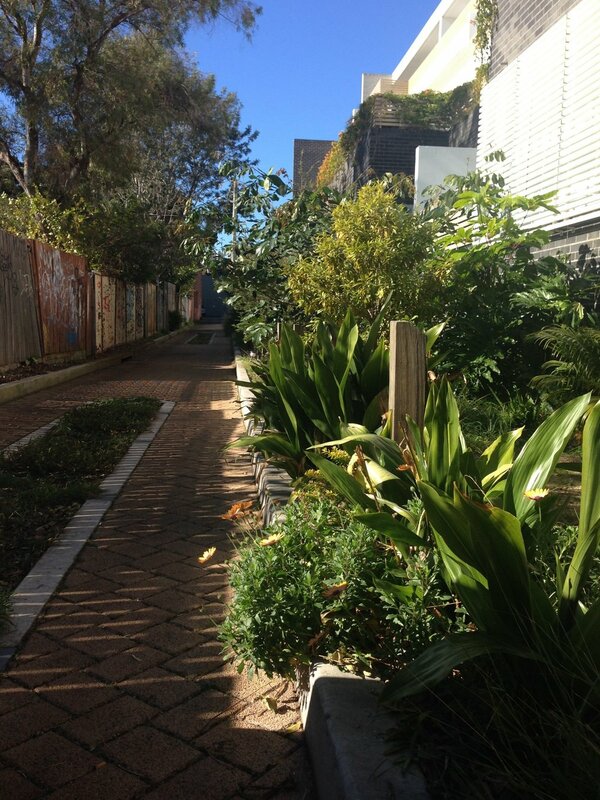 A neglected lane way in Newtown, Sydney was converted into a beautiful growing community place through the hard work of local volunteers and the support of Marrickville Council. Prior to our involvement, Wilford Lane was a muddy abandoned car park. 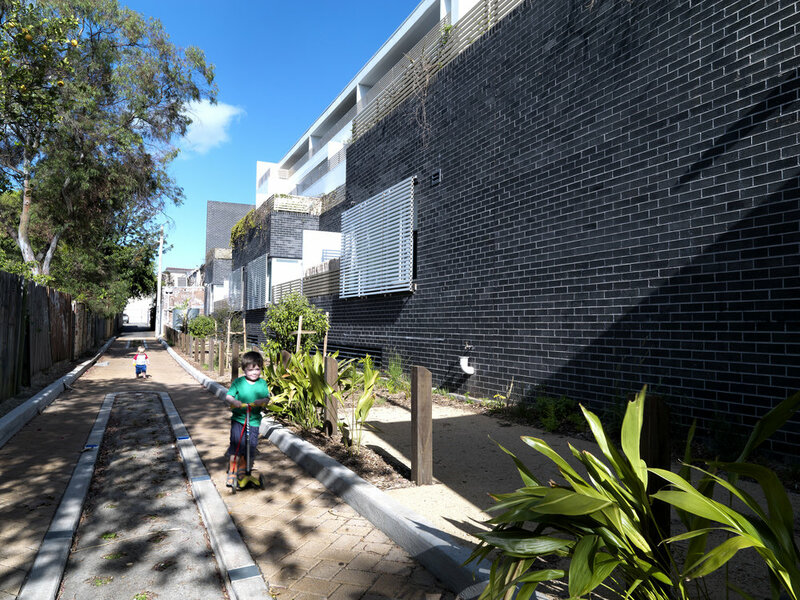 The transformation involved converting land allocated for future road widening into a community garden, installing a rainwater tank, bollards and trees. It’s a good place to ride your bike too! Now the lane actively invites a shared community experience and provides a sun drenched garden for locals to enjoy in one of the more densely inhabited districts in Sydney.